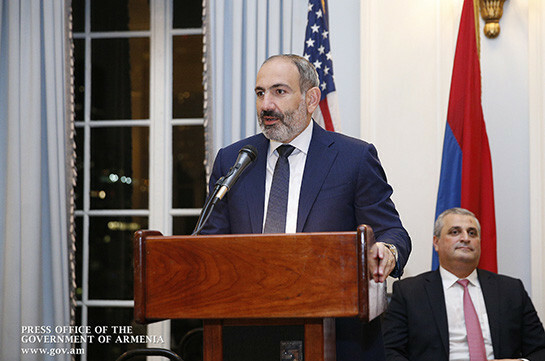 Armenia’s Prime Minister Nikol Pashinyan who is in New York on a working visit met in the evening of September 23 with the representatives of the Armenian community. Addressing the present he said that Armenia’s economic structure does not give grounds for optimism and it should be changed. “Today it comprises of three main branches – agriculture, which does not correspond to contemporary standards, the mine industry which means sell of national wealth and betting,” he said, adding that in July country’s economy has registered a two-digit activity rate due to World Football Championship. “This structure is not beneficial for us, we want Armenia to turn from agrarian, mining and bet country into high technology one. 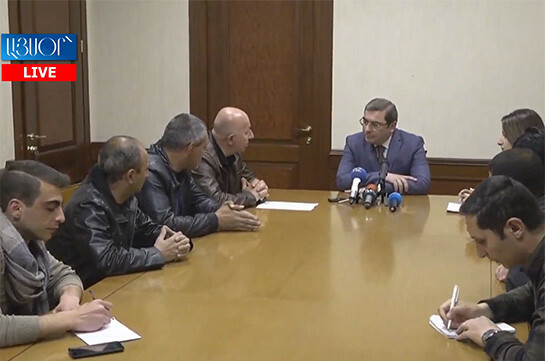 This is our priority and stems from our security,” Pashinyan said. The Prime Minister stressed that in four months the government did everything depending from it to keep the situation in the country stable. “It is one of the post-revolutionary challenges and we succeeded in doing it. Today our key issue is to attract investments and that is the reason why we initiated tax code reforms, establishment of independent judicial system, preservation of stable political situation and that is the reason why we are heading for snap parliamentary elections,” he said, adding that the Yerevan elections showed the inevitability of snap parliamentary elections and they should take place as soon as possible.